Your onsite wastewater system serves an important purpose for your home; it treats and safely disposes of sewage into the septic tank. Occasionally, your septic tank will need to be pumped; this is dependent of course on the number of people living in your home, the size of your septic tank, and other factors. 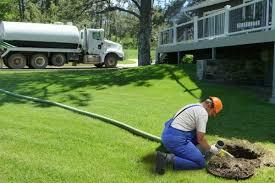 For the most part, septic tanks on average need to be pumped every few years. For example, if there are only two people living in the home, the system will not need to be pumped for years. The Massachusetts Department of Environmental Protection's (MassDEP) "Title 5 Regulations" govern septic systems throughout the state. As well, the City of Gloucester has its own set of additional (and more stringent in some cases) local regulations (which typically supersede state requirements). The MassDEP recommends once every 3 years for homes not having a garbage disposal (if the home has a disposal, they recommend once per year.) Properly designed septic tanks have enough space for up to 3-5 years' safe accumulation of sludge. 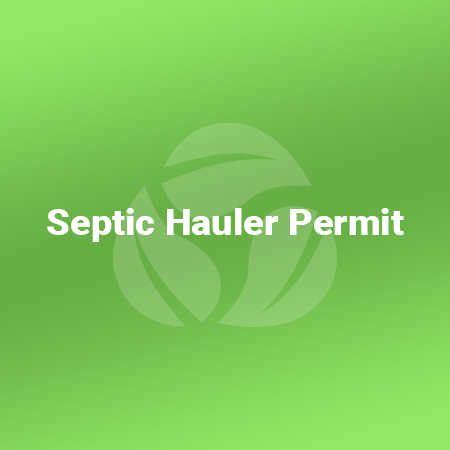 Each municipality permits/licenses the septic professionals that are allowed to work in their community. Refer to the Board of Health's website for the list of the currently permitted pumpers/haulers before hiring one. As with any professional that you would hire for servicing your home, research the companies to find the right one for you. Once you've hired a pumper, please know that they are required by state law to submit your pump record/report to the Board of Health for review. Your pumper is required to provide you with a record of the report which reflects the amount of sewage pumped, the date of service, the fee for their services, and other information. Be sure to keep your receipt as well as your copy of the pump record in the event that the Board of Health has questions. Gloucester regulations state that homeowners must pump their septic systems at least once every 3.5 years. In accordance with state law, the Gloucester Health Department implements the Massachusetts Department of Environmental Protection's Title 5 Regulations and requires an annual application review process prior to issuance of permits for pumpers/septage haulers as well as annual permit fee. As well, an annual inspection and licensing of all sewerage pumping vehicles will be done. Per Massachusetts law, all septage pump-outs performed must be reported within 14 days of date of service to the Gloucester Board of Health; failure to report on a timely basis may result in the revocation of Septage Hauler Permit. Massachusetts-licensed septage hauling companies wishing to do business in Gloucester must submit an application for review, a fee, and a Septage Haulers Permit Application to the Health Department.